London – 10th April 2018 – Reapit Ltd, the largest CRM and Lettings Accounting software provider to the UK residential real estate sector, has completed the acquisition of Pocket Size Media Ltd.
Pocket Size Media has experience in a number of areas, including development of PropTech and FinTech solutions; they also produce Pocket Neg, an iOS-based listing tool that helps estate agents give comprehensive, iPad-based presentations and complete property listings – without the need for an internet connection. The acquired company will continue to operate as a separate business, but the team will relocate to Reapit’s premises in Solihull to work closely with Reapit’s own development teams. The Pocket Neg solution will work in unity with Reapit’s latest version of RPS Mobile; a comprehensive, new, browser-based version of their CRM software for front office sales and lettings. The acquisition will help Reapit to deliver a closely aligned mobile development strategy that helps their clients to realise various operational efficiencies across different devices and forms of connectivity. Gary Barker, CEO of Reapit, commented: “With various disruptive forces challenging the traditional estate agency model, we feel it is important that our clients are not hindered in adapting their own businesses by technology. Many of our clients are exploring new operational models and our adaptable technology suite enables them to do this, without having to compromise existing operations. We can offer self-service technology and we can offer mobile technology, but it all still works seamlessly with the traditional desktop CRM that over 20,000 real-estate professionals rely on every day. 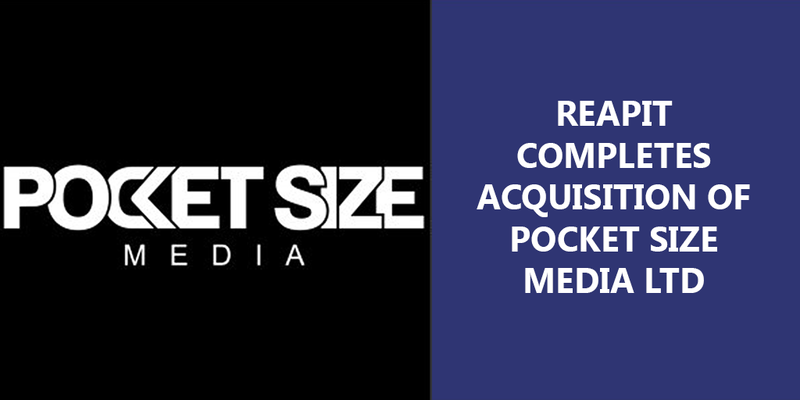 “Co-Founders of Pocket Size Media, Dave Bartlett & Paul Neale are very excited about what the acquisition will enable going forward. Paul, Technical Director commented: “A reliable mobile internet connection in the homes of potential vendors and landlords is still far from guaranteed, even in modern urban areas. PocketNeg gives agents the digital tools to enhance their listings presentation without the risk of failure or delay in loading information. Reapit will be able to greatly enhance PocketNeg’s features via the myriad of API-based functions that they are developing.